The 400×200 VESA Vu Adapter for the Tether Tools Vu Monitor Mounts (sold separately) allows for larger VESA compliant monitors to mount on photography and film stands, grip gear, tripods, and arms. 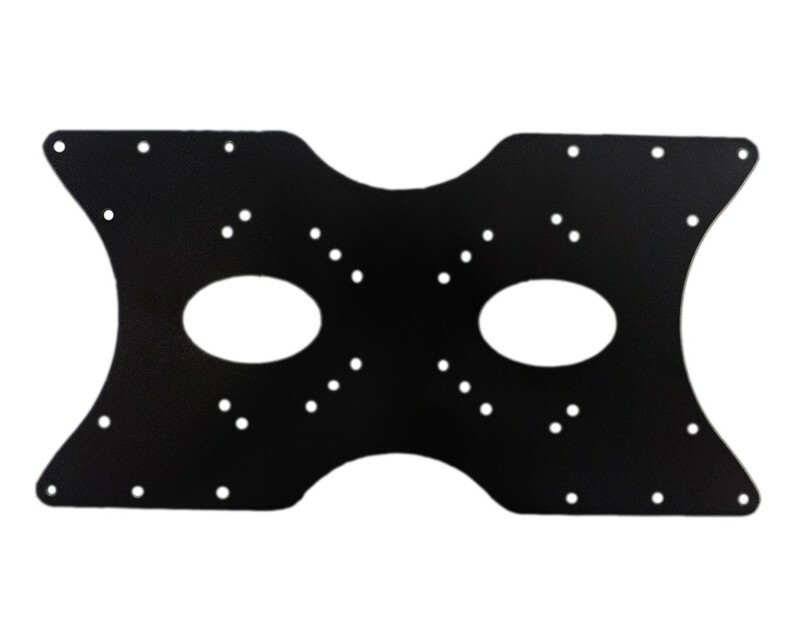 The standard Vu Monitor Mounts incorporate 75×75 and 100×100 VESA patterns. The VESA 400×200 adapter accommodates larger monitors with a variety of VESA patterns up to 400×200. 200×200 and Universal VESA Vu Adapters are also available. *This listing is for the VESA Vu Adapter only and does not include a Vu Monitor Bracket. All other items pictured are sold separately.